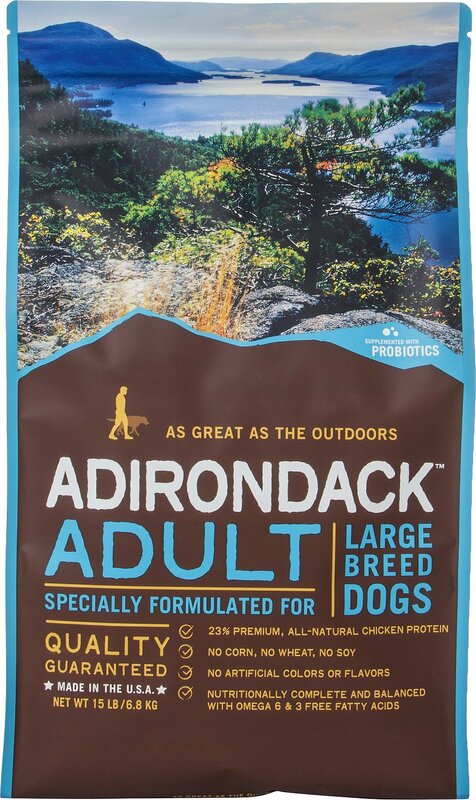 Feed your gentle giant a food that’s as good as the great outdoors with Adirondack Large Breed Recipe Dry Dog Food. 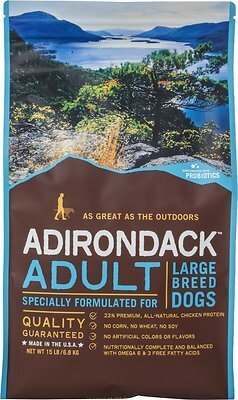 Formulated to deliver peak performance for large breed dogs, this premium-quality, all-natural food is enhanced with essential vitamins, minerals and nutrients to provide complete and balanced nutrition. Added probiotics help support maximum nutrient absorption and overall digestive health, while omega-3 and 6 fatty acids help nourish his skin and coat. 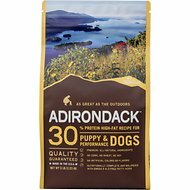 And because only the best will do for your best friend, it’s made in the USA without the use of corn, wheat, soy, artificial colors or artificial flavors. 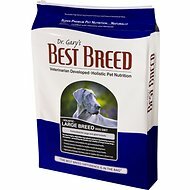 Premium-quality, all-natural food delivers peak performance for large breed dogs with 23% protein. 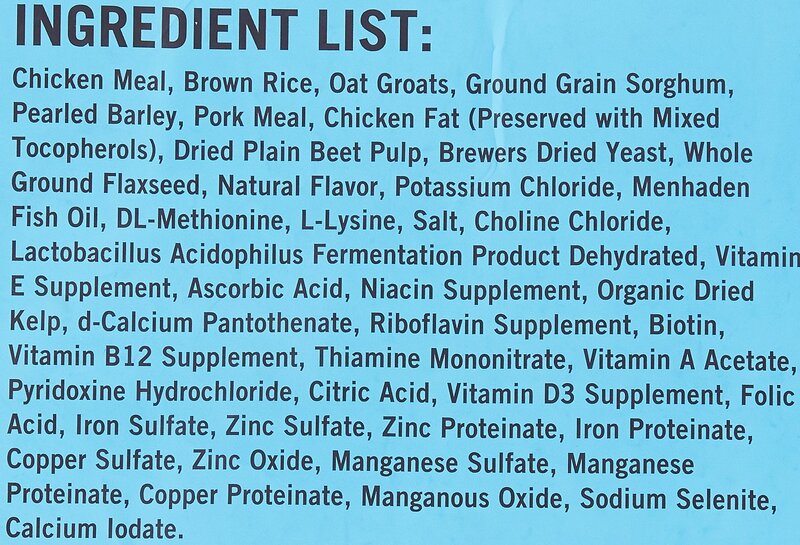 Chicken Meal, Brown Rice, Oat Groats, Ground Grain Sorghum, Pearled Barley, Pork Meal, Chicken Fat (Preserved with Mixed Tocopherols), Dried Plain Beet Pulp, Brewers Dried Yeast, Whole Ground Flaxseed, Natural Flavor, Potassium Chloride, Menhaden Fish Oil, Dl-Methionine, L-Lysine, Salt, Choline Chloride, Lactobacillus Acidophilus Fermentation Product Dehydrated, Vitamin E Supplement, Ascorbic Acid, Niacin Supplement, Organic Dried Kelp, D-Calcium Pantothenate, Riboflavin Supplement, Biotin, Vitamin B12 Supplement, Thiamine Mononitrate, Vitamin A Acetate, Pyridoxine Hydrochloride, Citric Acid, Vitamin D3 Supplement, Folic Acid, Iron Sulfate, Zinc Sulfate, Zinc Proteinate, Iron Proteinate, Copper Sulfate, Zinc Oxide, Manganese Sulfate, Manganese Proteinate, Copper Proteinate, Manganous Oxide, Sodium Selenite, Calcium Iodate. My weim molly greyce loves the taste and texture of this kibble. She has shown zero tummy upset from it and her potties are firm and proper. Very pleased! Switched to Adirondack from Fromm when Chewy stopped carrying it, and have been very happy. All three dogs like it, and they are nice and healthy! Our 1 and half year old Dobie loves this food! He usually gets it with some wet food mixed in but will eat it dry also. Yuck, wouldn't even touch it. My dogs wouldn't eat it, even when mixed with canned.